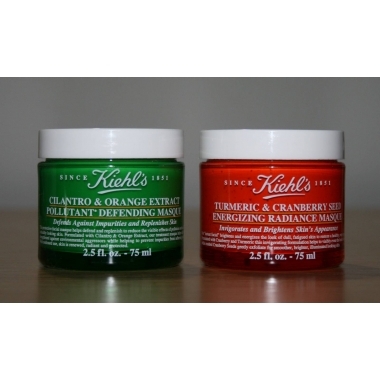 Turmeric & Cranberry Seed Energizing Radiance Masque, is designed to boost radiance and generally give skin its glow back. It’s specifically intended for dull, fatigued skin, with the Turmeric included to sooth, heal and detox, whilst the Cranberry Seed is there as a physical exfoliator from the seed itself, and Cranberry Seed Oil is also included to provide fatty acids and antioxidants for skin health. Cilantro & Orange Extract Pollutant Defending Masque, which is a very interesting one since it’s designed to defend skin from pollution, which sounds quite unlikely, but actually the research behind it is sturdy and impressive. Firstly, Cilantro is Coriander, secondly, it’s quite shocking just how much of the skins problems can be linked to the effects of pollution; we’ve been focusing so much on protecting our skin from the sun, whereas pollution is an almost equally aggressive factor in skin damage. 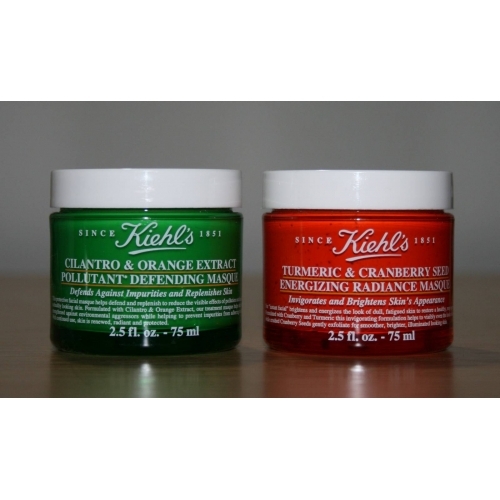 Studies Kiehl’s put together to demonstrate the capabilities of the mask, showed over a 50% increase in improved barrier function of the skin after just an hour of use.